Why Get an Under-Sink Water Filter in the First Place? The quality of drinking water in the United States today is among the best—if not the best—in the world. Our carefully-monitored public water utilities strain, settle, filter, and treat our water for a multitude of contaminants before flowing it to our homes. In fact, under the Safe Drinking Water Act of 1974, Congress gave the Environmental Protection Agency authority to set national drinking standards. Today, the EPA regulates more than 80 contaminants in our water, including arsenic, e-coli, cryptosporidia, chlorine, and lead. This is the main reason why we rarely hear about Americans contracting cholera, typhoid, or arsenic poisoning, for example, from drinking their tap water. This was a much more common occurrence in America just a hundred years ago, and sadly, happens far too often in less-developed countries today. So, we're very lucky in the USA to enjoy clean, safe, nice-tasting water. For the most part. 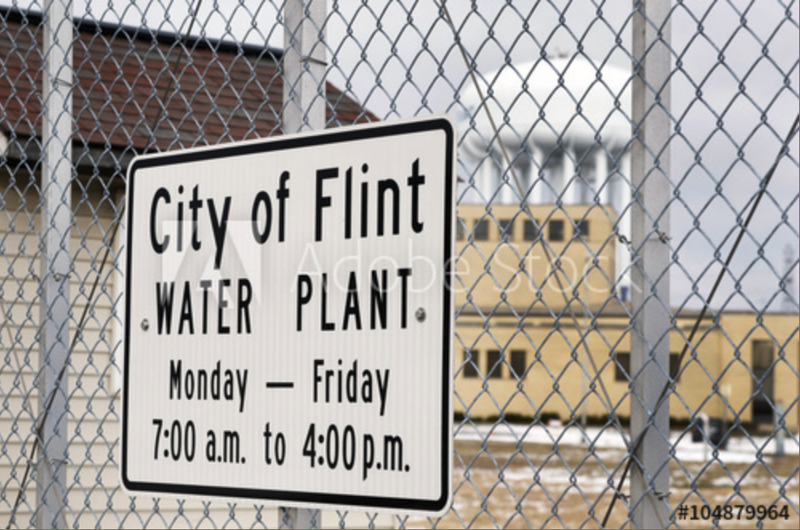 The citizens of Flint, Michigan have endured a severe water crisis after state and city health officials diverted the city's water supply from Detroit's clean system to the polluted Flint River. Residents, especially children, suffered and continue to suffer from extremely high levels of lead in their blood and may face health problems later on in life. In 2016, a USA Today Network investigation found that 2,000 water systems, collectively supplying more than 6 million people in all 50 states, contained excessive levels of lead contamination. The EPA itself estimates that 90% of public water systems in the US meet its strict standards, leaving 10% that don't. A 2003 study by the Natural Resources Defense Council discovered that the public drinking water in 19 of America's largest cities had higher contaminant levels than the EPA allowed, thanks to a combination of pollution and deteriorating equipment and pipes. So, while your water is most likely clean and safe to drink, there are clearly exceptions to the rule. Water filters give your family's water an added layer of protection from contaminants that are potentially toxic, radioactive, or, as scientists prefer to say in their highly technical jargon: just plain gross. So, It's Time to Buy an Under-Sink Water Filter? First, test your water with a TDS meter (also known as a TDS tester). You should do this whether you have major concerns about your water supply or not. Your water could look crystal clear and taste just fine, but still contain too many particulates. At this point, you're probably dying to know what TDS stands for. (No, it's not “tarantula dinosaur salamander,” but good guess!) Luckily, we have an article that explains that and much more about TDS meters. Read it here. Second, you need to decide which type of filter suits your needs and budget. The main types of water filters range from handheld pitchers to whole-home systems. Here are the five categories in rough order from simplest, cheapest, and least effective to most complex, most expensive, and most effective. Water-filtration pitchers are portable plastic pitchers that contain a carbon-spun fiber filter. Simply pouring tap water from the pitcher into a cup strains out some metals and chlorine taste and odor. This option is affordable and easy to operate, but is also the least effective. Faucet-mounted filters, as you might have guessed from the highly clever name, attach directly to the spout of the sink faucet. Most models have a carbon block filter that removes 99% of lead and trace levels of other contaminants, including pharmaceuticals. If there are times you don't need filtered water, a diverter bypasses the filter and sends the water straight out the faucet. Countertop filters consist of a plastic housing with an attached gooseneck-shaped faucet and some flexible tubing that connects to the sink faucet. Tap water flows through the tubing, into the filter, and out the faucet. Placed on the countertop near the sink, the housing contains a multistage filter that removes around 90% of dirt, rust, fluoride, aluminum, lead, iron, and other metals. One drawback of this filter, however, is its aesthetic effect. Rather than admiring your sleek, shiny kitchen faucet, visitors may be focusing on the less-than-gorgeous tubing instead. Whole-Home Systems are installed near the point of entry for your home's water supply, allowing them to filter each drop of water that finds its way into your house. So, while these systems do a superior job of filtering, they require specialized professional installation and can cost more than $2,000. You'll have to shell out at least $400 for a bare-bones model. One thing to keep in mind with whole-home systems is that, unless your water is extremely contaminated, you probably don't need purified water when showering, doing laundry, or watering your lawn. 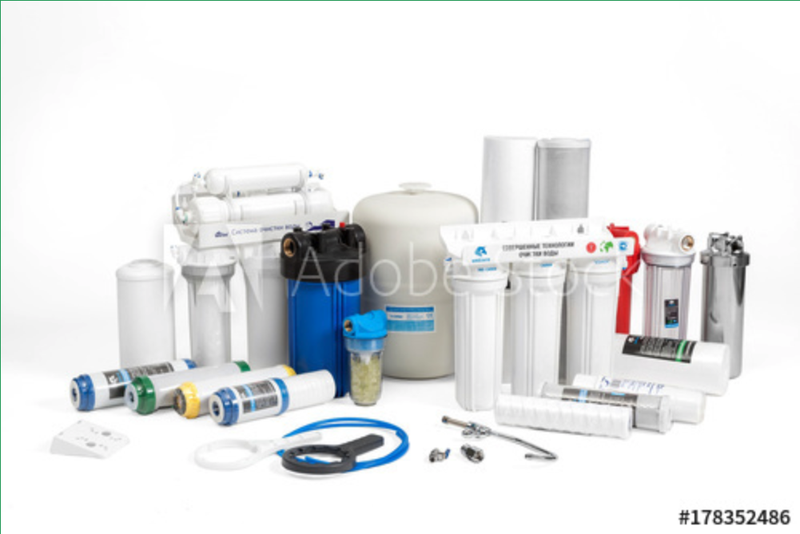 As you can see, under-sink filters stand above the others by offering the best of all filter worlds: effectiveness, affordability, and ease of use. So, let's find out more about them. It's true, under-sink filters don't have the most creative, memorable name out there. But hey, we didn't hold that against Friends, so let's not hold it against the filters. And besides, there are so many advantages to under-sink filters that you'll forget all about the boring name. Advantages like their compactness and their ability to live underneath the sink, out of the way and out of sight. This means they don't become kitchen eyesores or waste valuable countertop space. How do they work? Tap water flows from the pipe through the filter, emerges purified, and pours out of a dispenser that's mounted to the sink deck next to the faucet. The dispensers are normally thinner and smaller than the regular faucet. 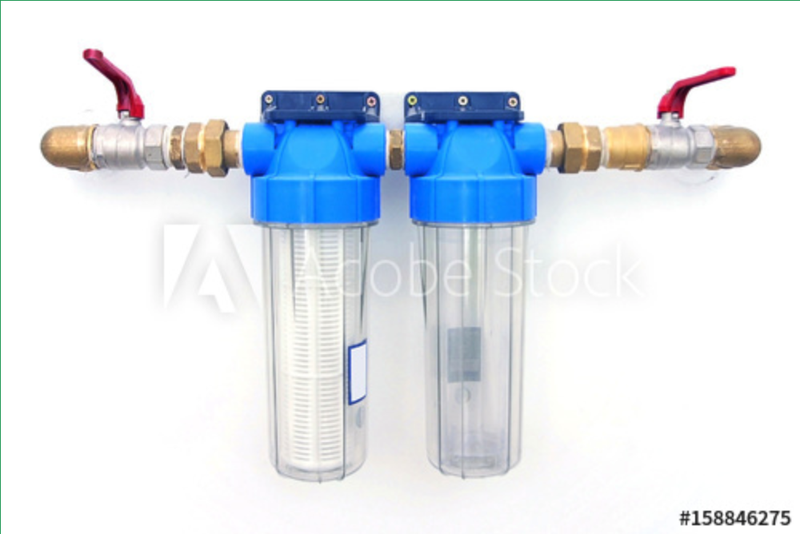 Manufacturers make two types of under-sink filters: standard and reverse osmosis (RO). And there's a lot to like about each kind. Okay, that may be overstating it a bit. But if these two heavyweights were to take on each other in the ring (or cage or octagon), which one would knock the other out? The answer really depends on what you're looking for in a filter. Standard under-sink filter systems strain out particulates that are 10-30 microns in size, which is incredibly effective, considering that a micron is one-millionth of a meter and that a human hair is 75 microns wide. This performance is far better than the results that pitcher, faucet-mounted, and countertop filters can muster. Cost less than RO systems. Take up less space in your cabinet. It looks like standard systems have taken the lead at this point in the bout. Total or near-total elimination of particulates, no matter how small—a feat unparalleled among all types of filters. Let's learn more. Reverse osmosis reminds you of a band you liked in high school. Plus, it's the process of using your home's water pressure to force tap water through a series of semipermeable membranes, capturing dissolved contaminants that can pass through normal filters. For example, remember that standard under-sink systems filter out contaminants that are 10-30 microns? Well, RO systems filter out anything down to 0.0001 microns. This number is absolutely astounding! Even the smallest bacteria are 0.2 microns in size and way too large to make it through an RO filtering system. Nothing except for water can survive its ferocity. RO systems generally have four to six stages, each removing a different type of particulate. Some even have a stage that restores alkalinity and helps restore the water's pH level by adding bits of calcium and magnesium. One potential disadvantage of an RO system is that it requires a water storage tank, which can usually be stored in the sink cabinet next to the filtering unit. If the tank somehow doesn't fit, it can be installed outside of the cabinet, which could require the addition of an auxiliary pump and increase installation costs. If your budget and installation capabilities allow for it, choose the reverse-osmosis under-sink filter system (with an NSF certification) to get the purest water possible. Simply put, it's the best water filter in existence. But, if you have budgetary or other concerns, an NSF-certified standard under-sink filter system will still give you water that's virtually 100% clean and more pure than most other filters can provide. The fact is that in making our recommendation, we really had to get nit-picky. Both choices are excellent and will give you and your family the peace of mind you deserve when it comes to your drinking water.